Past Sold homes by Top Agent Inc. Received A POSTCARD? Click Here! Romantic Enchantment awaits in this lovely upgraded home nestled in just above the Fairbanks Ranch Country Club. Three fireplaces, community pool. Lovely turn-key home! 5293 Vista Del Dios, San Diego SOLD! Walk to the beach and shopping! Very spacious beach home located two blocks from the water with large 6,000 square foot lot with room for pool and over 2,100 square feet of living space! Two car garage and parking spaces in rear of house. Home has attached guest room with separate entrance. Currently has a partial ocean view but possibility of adding deck with full ocean views! Custom house on quiet street. A true gem! 2424 Newport Avenue, Cardiff by the Sea San Diego SOLD! Custom single story home built in 1995 on a cul-de-sac street with Torrey Pines reserve access: Walk to the beach through reserve or take streets and walk through village of Del Mar! Updated house has granite counter tops, a courtyard with fountain, Bose sound system and more upgrades. Award winning Del Mar School District. 13653 Mar Scenic Drive, Del Mar – SOLD! La Costa Oaks classic home on a cul-de-sac. Pristinely maintained, sun drenched home with hardwood floors and extensive crown moldings though out. Includes approximately $30,000 in plantation shutters. Upgraded features include granite counter tops and stainless steel appliances, central air conditioning, and a butler’s pantry area between kitchen and formal dining room. This home has a three car garage and good size backyard. Part of master planned community with resort like club house, Pool & community amenities. 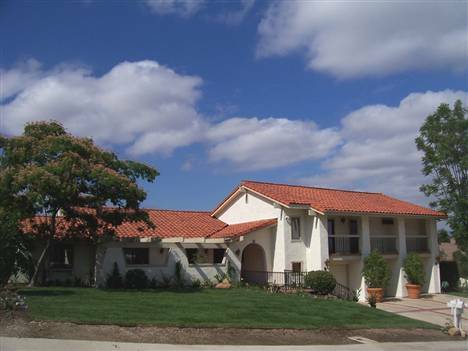 3414 Corte Brezo, Carlsbad Neighborhood: La Costa Oaks SOLD! Enter through a gated privacy or open air courtyard that lets you enjoy lounging around the fire pit or nearby fountain. Enjoy the lush backyard, which includes a professional built-in BBQ and lavish fountain for serene casual gatherings. Gourmet kitchen opens up to family room with a gas or wood-burning fireplace. Separate dining room has double doors leading to backyard for indoor to outdoor dining and entertaining. Sweeping circular staircase leads you upstairs to the four remaining bedrooms. Large master bedroom adjoins a huge master bath with a Jacuzzi tub and walk-in shower with his and her vanity areas. The three-car garage has two separate yet connecting bays. 3414 Corte Fresa, Carlsbad Neighborhood: La Costa Oaks SOLD! Master & additional bedroom downstairs! Custom tile flooring, pebble-tech garage finish, top of the line kitchen appliances. No neighbor behind property. Prime location on cul-de-sac just 1 block to Elementary school. Community includes use of community exclusive resort-like club house, pool, parks, and numerous gardens. 2727 Ascot Avenue, Carlsbad, Neighborhood: Bressi Ranch – SOLD! and Leased! Enjoy the lifestyle that La Costa has to offer! Enjoy Ocean breezes and the Famous La Costa Resort and Spa or the 64,000 square foot Dove Library and adjacent center area complete with Theatres, restaurants and shopping! If interested, call Carin for La Costa Resort and Spa Sport fees or Golf memberships. Note: no “CDF” fees/taxes. Two community pools, spas, bathroom facilities, several “Tot lots”,and lush community green areas. Awesome location across from Architectural wonder, the San Diego County Convention center. This 5th floor sharp abode is just oozing with things to love! Secure underground parking, a very well maintained building, and not so crazy HOA fees. Smart people live here! Walk to the trolley or jump on your bike for a sweet ride. Oh just go downstairs and down the block for almost anything you would ever want including local grocery store and more. Super sharp interiors have expansive tiled flooring, slick kitchen with black on wood tones. Two master bedrooms on opposite ends of this home with the kitchen in the middle. Two walk out useable balconies with views. Views to the east and west! 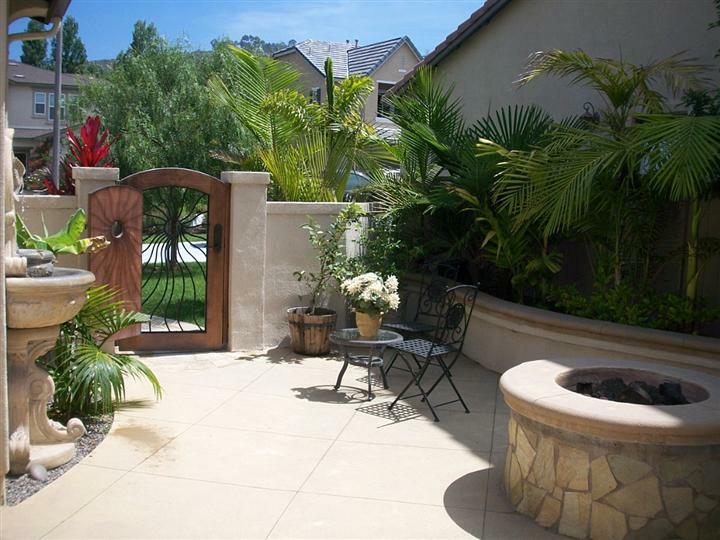 Gated enclave of upscale patio homes. Part of Trilogy community off Carmel Mountain Road. Offer’s pool and spa besides wonderful landscaped greenbelts and entrance. Only two miles straight to the sandy beaches offering the best of both worlds- detached living and a private backyard without all the work. 11237-5 Carmel Creek Road, San Diego Neighborhood: “Trilogy I” in the Carmel Valley – SOLD! Spacious town-home with 4 bedrooms, 3 baths, includes an attached two car garage with black & white racing floor, and over 1,800 square feet of living space. Amazing location close to schools and shopping. This is an end unit with air conditioning and ceiling fans in every room. Willow Grove Elementary School just down the street. 14650 Via Fiesta #1, San Diego Neighborhood: “Sycamore Walk” in Santa Luz – SOLD! Authentic Adobe Ranch in Poway! Unique setting and home that stays naturally cool with thick adobe walls through-out. Property includes a detached guest house and plenty of land to keep horses or enjoy livestock or ranch-style living! 14383 High Valley Road, Poway – Sold! Short Sale with Bank of America. Lovely home with good curb appeal and pleasant interiors include tiled main living areas, big bright and open working kitchen with large center island. One bedroom & bath downstairs. Good size master bedroom suite. Great cul-de-sac street with low traffic. Well groomed area with low Home owners fee for common areas. This is a HAFA approved short sale that is ready to go! 958 Tempera Court, Oceanside Neighborhood: Rancho Del Oro Villages – SOLD! Sharp Single Story on level lot with laminated Wood Flooring throughout. Turn-key move-in ready home has a two car attached garage, inside laundry and a Bright open Kitchen with lots of counter space. End of a cul-de-sac street. Tile roof, easy maintenance landscaping with No Community Facility District tax here. 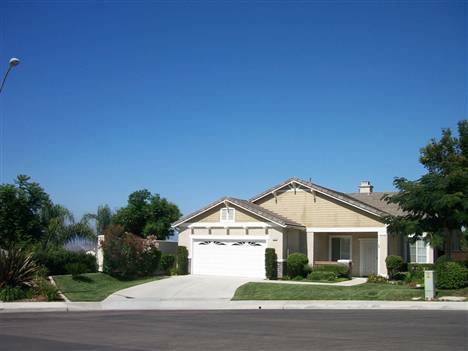 Walking distance to Bonsall West Elementary School and neighboring park. Home inside the Bonsall School district. 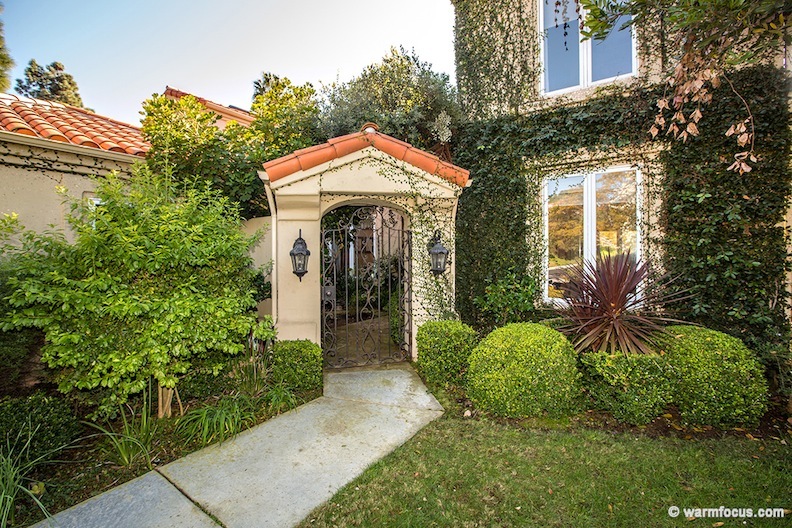 4965 Calle Arquero, Oceanside Neighborhood: Sonoma Hills SOLD! Interiors have been completely redone! Kitchen is all new! Awesome raised ceiling with skylight, recessed lighting, and hanging lights! Includes upgraded gas stove and refrigerator. Most of house has laminated wood floors, lots of good lighting, designer touches. Both bathrooms have also been remodeled nicely! Even the closets have been redone! Great floor plan that has a two car attached garage and about 320 square foot bonus room that can be accessed from outside side yard or through garage. Plenty of land on a level lot that becomes your place to relax every evening. This secluded and private retreat among pine trees is your own serenity away from busy life. Full size guest house. Features park-like grounds including a pool and large outdoor entertainment areas. The main house is an architectural classic ranch and cabin-style dwelling. Makes for understated grandeur. Stained glass church style windows look towards the wonderful landscape including a fountain, Trellis BBQ area, and lots of open space, all surrounded by a 6 foot high privacy fence. In addition the property has a detached matching garage and remote controlled Gated entrance. Complete with 2 separate visitors entrances and full security system. Sprawling Ranch in Woodland Hills Neighborhood: Walnut Acres SOLD! Awaiting discriminating buyer who doesn’t want or have time to do a thing to make this perfect. Turn-key home deserves a closer look. Part of an area known as ‘Walnut Acres’, this popular Woodland Hills residential neighborhood is excellent! A Master craftsman put his heart into this with attention to detailed appointments including electric gated entrance with circular driveway, stamped concrete driveways, travertine stone flooring, real maple hardwood floors. Top of the line appointments include gourmet kitchen with granite, stainless steel, Viking, GE Monogram appliances, Kohler toilets & shower heads, Minka Aire ceiling fans, International dual pane windows. 23025 Sylvan Street, Woodland Hills Neighborhood: Walnut Acres – SOLD! Custom Mediterranean Home sits on a ridge overlooking the hillside entrance area of canyon and valley. Includes maids-room/ office suite downstairs. Spectacular Views from den, living room & master bedroom. Behind West Hills Estates and a few blocks from guard gate for those wanting a not too remote, yet still secluded residence at the end of a quiet cul-de-sac. Views of Castle Peak hills nearby. Community amenities include miles of riding trails, tennis courts, an equestrian center, baseball field, children’s park, & many other excellent community enhancements. Part of highly regarded Las Virgenes School District, Students have choice of El Camino Real High or Calabasas High School. Both rank at or near top in districts. 36 Silver Spur Lane, Bell Canyon Private Community with 24 hour manned gated entrance – SOLD!